(short for AR, VR, MR) or be left behind. This three-day event brings together a huge mix of industry leaders and enthusiasts, including CEOs, CTOs, designers, developers, creative agencies, futurists, analysts, investors, and the top media outlets. 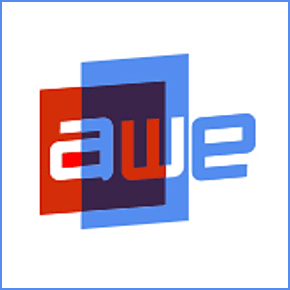 AWE brings together more than 5,000 attendees from all over the world, with a large percentage of them representing Fortune 1000 companies. The conference has features Keynotes from leading industry figures like “Shots of Awe” filmmaker, philosopher, and futurist, Jason Silva; “The Fourth Transformation” author and Transformative Group partner, Robert Scoble; and game designer, author, and Carnegie Mellon scholar, Jesse Schell.